We are over 75 of your family, friends and neighbors who put service above self to improve the lives of every human being in our community and around the world. We are part of Rotary International, 1.2 million neighbors, friends, and community leaders who come together to create positive, lasting change in our communities and around the world since 1905. Current and Prospective Members: View our program calendar and duty roster here. 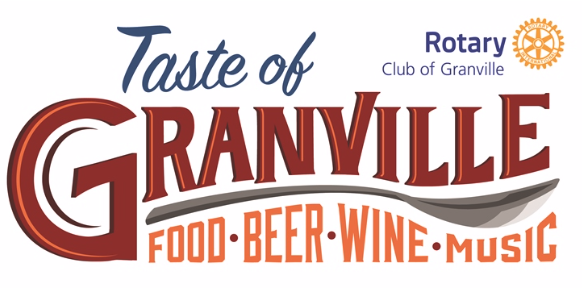 The Bryn Du Mansion grounds will become a beehive of activity on Saturday, April 27, when the Granville Rotary Club’s Taste of Granville returns for its fifth year, offering the best of area food, wines and beers while raising funds for Rotary’s many local projects. Tickets are still available for the event, where air temperatures are expected to be in the mid 70s. More than 600 are expected as Rotary shoots for its goal of clearing $25,000 for support of local scholarships and service projects, including a new legacy project to be announced soon. Taste of Granville, held in the Bryn Du Mansion, its fieldhouse and in the Carriage House, features a wide variety of local restaurants, specialty food retailers, caterers and food service providers. The club will also utilize outdoor spaces to host a Food Truck Rodeo. A fun feature will be the arrival of the Matesich draft beer trailer fully stocked with beers the company distributes including tap handles and seating on each side of the trailer. “TOG” will also feature its Silent Auction featuring a Budweiser rolling patio cooler cart with stainless cooler, a $500 Granville Inn Getaway Certificate featuring a one-night stay at the Inn, a $75 gift certificate for dining in the Oak Room or the Inn’s tavern, breakfast for two and a bottle of Granville Inn Cabernet. Also in the auction will be several works by local artists. Frank's & Sammie's, Frostop, Mad Batters, Visionary Meals, and Whit's Frozen Custard. Matesich Distributing will again feature regional craft beers in all three venues this year. Also on hand will be Buckeye Lake Winery, Southern Glazer’s Wine & Spirits, Heidelberg, Camelot Cellars, Three Oaks Vineyard, Rockside Vineyards, Barefoot Wine, Cutting Edge, Wyandotte Winery, Cavalier Distributing, Watershed Distillery, and Simple Times Mixers. The event will also feature live music in the Bryn Du Mansion by guitarist Tom Carroll and traditional folk music by Flo and Stan. Granville Rotary directs 100 percent of the proceeds to support the club’s numerous and varied service projects, including five college scholarships, Junior Achievement Biz Town for fifth-graders, Families Helping Families – holiday season, Eradicating polio worldwide, an Ethics and Leadership Conference for high-school students, Food Pantry Network of Licking County, Book donations to Granville Public Library, Granville Rec District’s Concerts on the Green, Inbound/outbound international exchange students, International projects including most recently eighteen water wells in Haiti, Community Shred-It Days, and Red Cross Community Blood Drives. 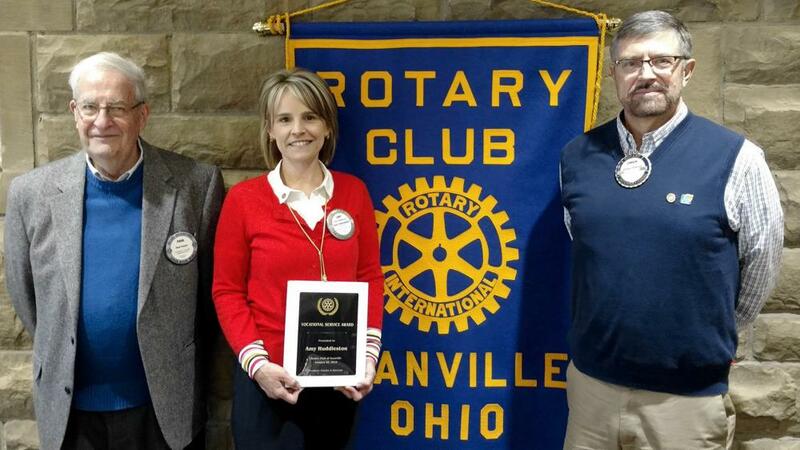 The club’s Community Legacy Projects are the Bicentennial Clock at Granville Village Hall, the Frazier-Sargent Rotary Softball Complex at Raccoon Valley Park and most recently the Raccoon Creek Bridge connecting the Evans bike path to Raccoon Valley Park. How to get tickets: Log onto www.tasteofgranville.org, or Rotary Taste of Granville on Facebook. 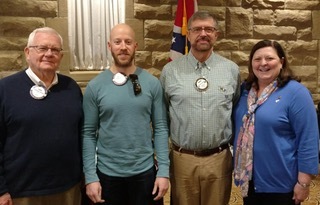 District 6690 Assistant District Governor Sandy Knoesel (right) presented lapel pins to three Granville Rotarians for their contributions through Rotary’s 125 Club. To become a 125 Club member, Rotarians contribute at least $100 to the Rotary Foundation’s Annual Fund and at least $25 to the global PolioPlus effort. Recipients, from left, were Chris Cherney, Justin Biggs and Chuck Peterson. Granville Rotary presented a check for $1,000 to Pam Bice of Granville Middle School for purchase of new books for classroom teachers. Pam will coordinate the effort to promote more check-out of books by students in the absence of a school librarian. 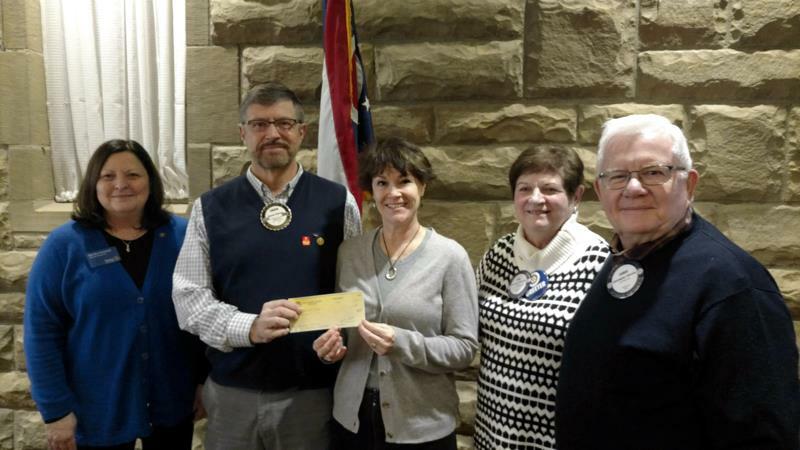 Pictured from left are Rotary 6690 District Assistant Governor Sandra Knoesel, Granville Rotary president Chuck Peterson, Pam Bice, and Rotary Youth Emphasis co-chairs Sue and Chris Cherney. 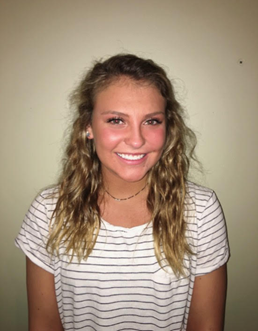 Welcome to new member Robin Whittington! 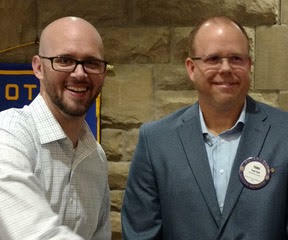 President Andy Wildman inducted a new member this Monday! 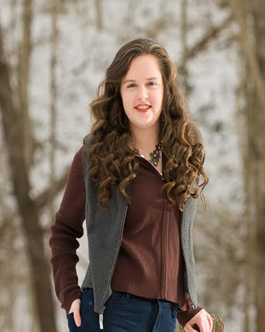 Meet Robin Whittington, a graphic designer, sponsored by Donald Jones. 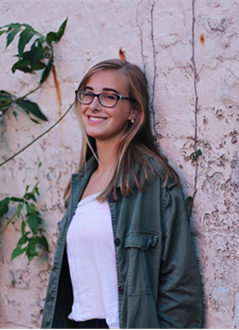 We're so glad to have her join our club and look forward to helping her be a Person of Action in our community! Rotarians (pictured left to right): Connie Hawk, Melissa Green and Don Yore volunteering at the Market Street Pantry. AmazonSmile is a simple and automatic way to support the ROTARY FOUNDATION OF GRANVILLE at no cost to you. Once you have signed up, very time you shop online at AmazonSmile, they will donate 0.5% of the price of your eligible AmazonSmile purchases to the ROTARY FOUNDATION OF GRANVILLE. You will find the exact same low prices, vast selection and convenient shopping experience as you always get at Amazon.com, with the added bonus that Amazon will donate 0.5% of the purchase price on everything you buy to the Rotary Foundation of Granville. To shop at AmazonSmile simply go to http://smile.amazon.com/ch/31-1598749 using the web browser on your computer or mobile device. If you bookmark this link, it will be even easier to return for future shopping at AmazonSmile.